This is the first in a series of blogs that looks back at our honeymoon in which we took a mini tour around Europe, visiting Paris, Barcelona and Madrid. 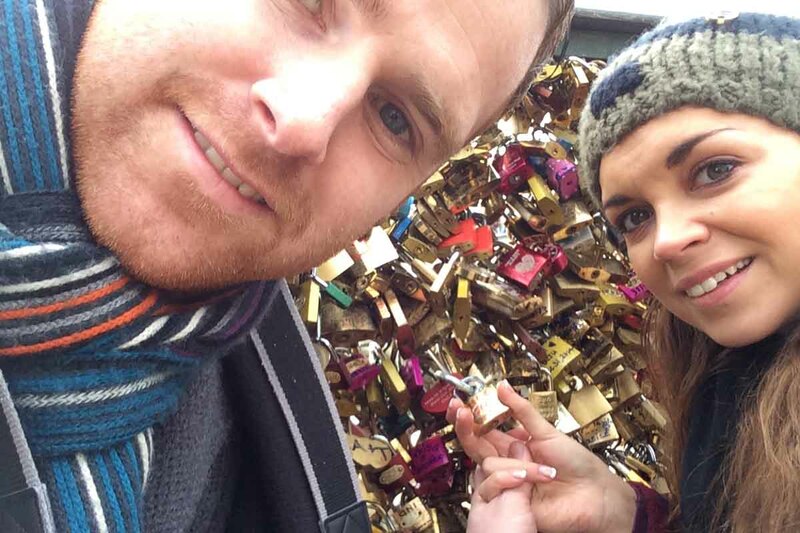 Following our Christmas wedding we had a number of places in mind for a honeymoon but as we are both huge fans of city breaks we opted to take a trip around some of Europe’s most popular cities. 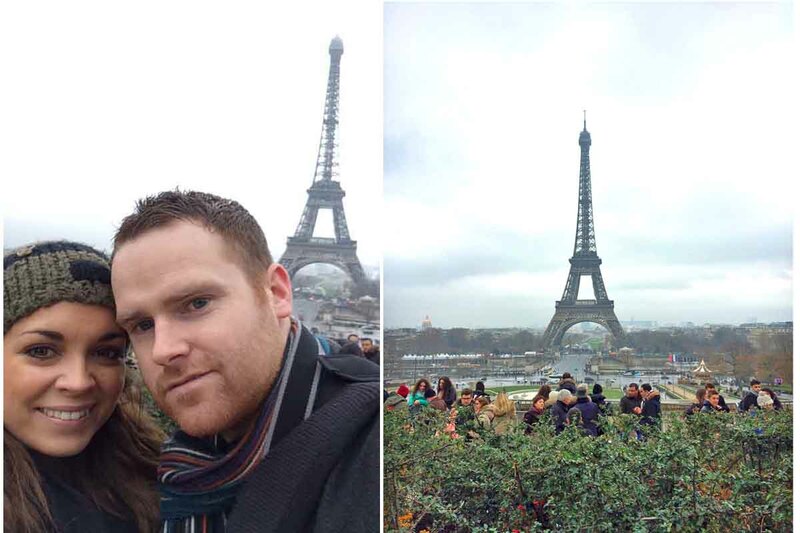 First up was a short flight from Dublin to Paris on New Years Day – what a way to start married life and 2015. 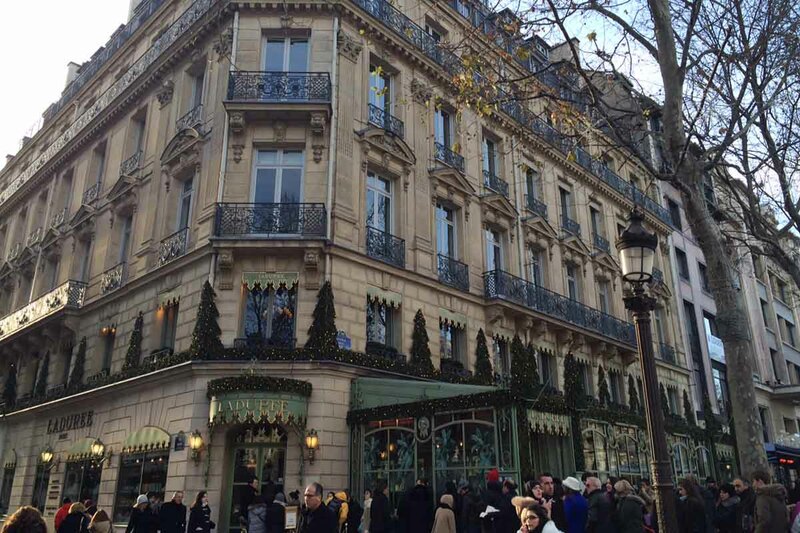 Our hotel in Paris was the 4 star Hotel Le A which is located on a quiet side street just of the famous Champs Elysées. 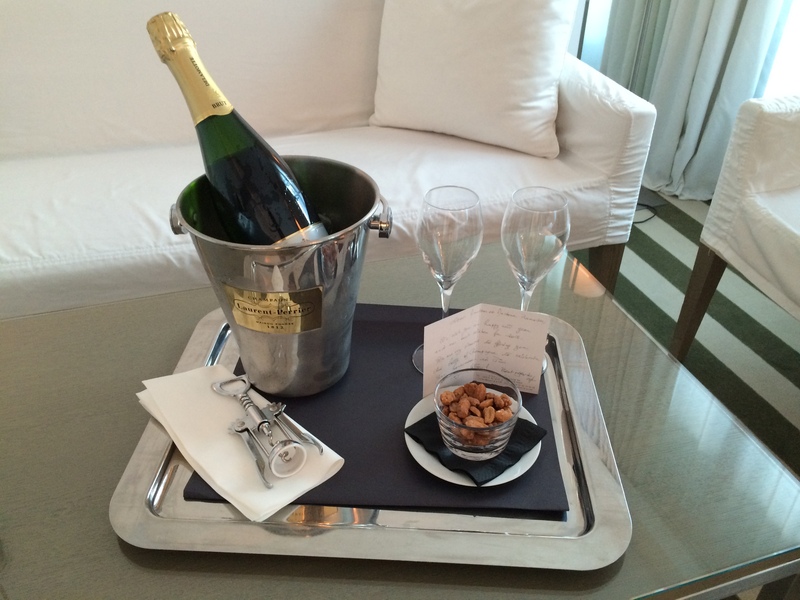 The boutique hotel was the perfect way to start our honeymoon and we were greeted by friendly staff and a lovely bottle of Champagne. As we arrived early our room wasn’t ready but this gave us time to go of and explore a bit of the city. We couldn’t have wished for a better location as we were about a 3 minute walk from the centre of the Champs Elysées, so this meant our first stop was the shops (and there’s lots of them). There was a carnival taking place along the Champs Elysées on New Years Day which was great. We got to enjoy the festival like atmosphere and just strolled about going from shop to shop before making our way to the Arc de Triomphe. With 3pm quickly approaching we made our way back to the hotel to check in and see what our room was like. 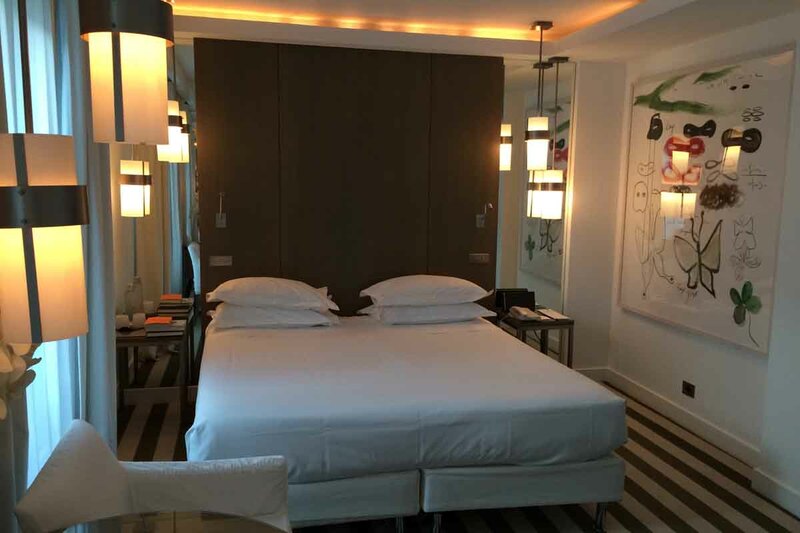 The hotel was a small boutique hotel that just screamed classic Parisian design. We were shown to our room and after putting our clothes away, we relaxed in our room with a lovely bottle of champers courtesy of the hotel. It had been a busy day which started with a 5am wake-up to catch our flight from Dublin, so it was nice to just relax and take in everything that had happened over the previous few days. After an hour or so of relaxation it was time to head out and find somewhere for an evening meal. Staying in the centre of Paris, this was never going to be a big problem. We always believe that the best places to eat when going abroad are those that look busy and seem to attract the locals. It’s always a good sign that the place does good food. 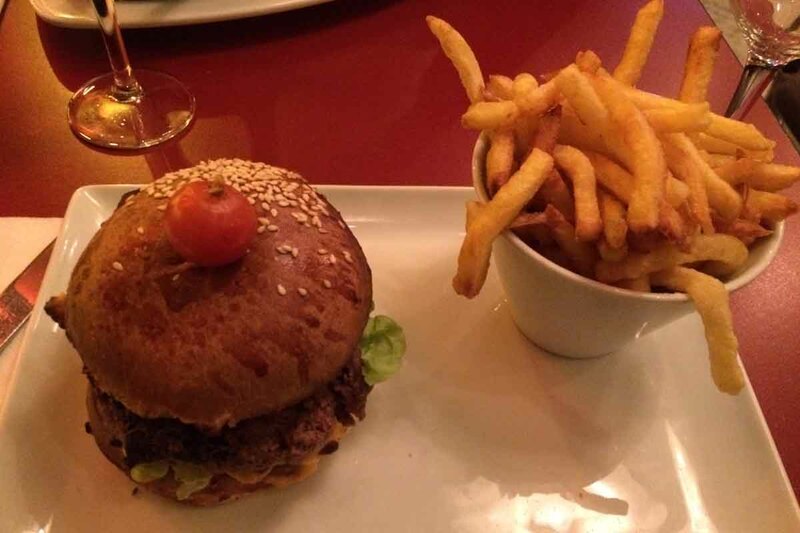 On our first night dining out in Paris this actually meant a short walk across the street to La Boetie. We took a look at the menu on the door and as it was the busiest of all the nearby restaurants we thought we’d try it out. The food was well priced and we were able to get a table quickly. 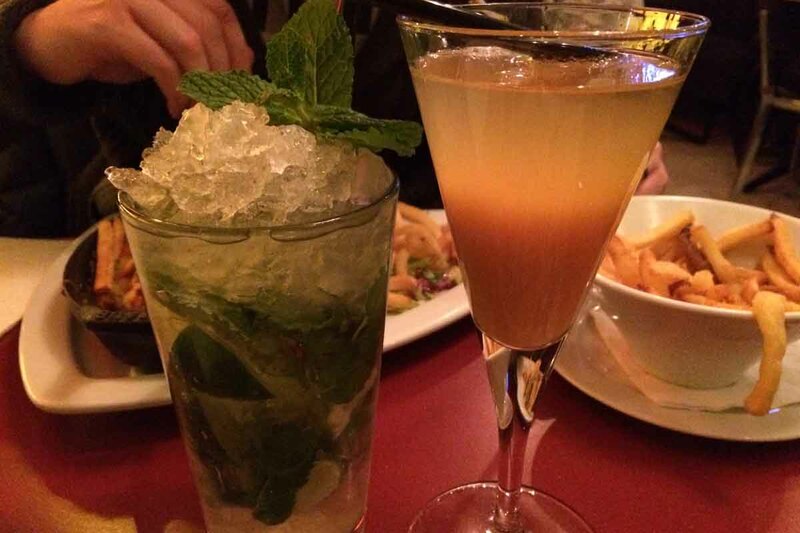 It also happened to be happy hour which meant cheap cocktails (this sort of clinched the deal for us). We decided to not go for anything too adventurous as we ordered a burger and chip and lasagne. They really hit the spot and set us up for the evening. We left La Boetie and set off exploring the Champs Elysées at night. 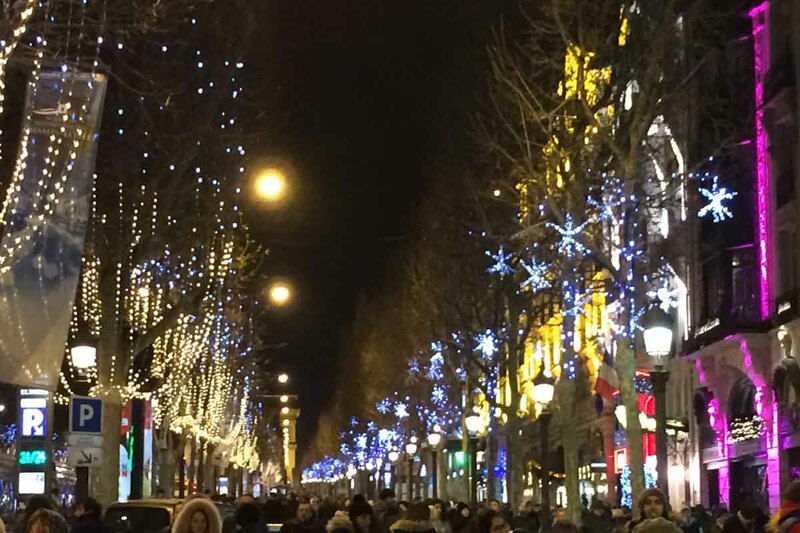 As you would expect on New Years Day, the streets of the Champs Elysées were packed with both tourists and locals. The Arc de Triomphe is amazing lit up at night and many of the shops are opened late at night so we just took our time going from shop to shop. We didn’t actually venture too far on our first night and simply set about exploring the Champs Elysées and really getting a feel for our bearings as we had 3 days ahead of us in Paris before heading on to Spain for the second part of our honeymoon. We soaked up the New Year’s Day atmosphere in the most romantic city in the world before grabbing a quick drink in a city centre bar and calling it a night. It had been a long day so it was time to get some rest for a busy day exploring the city in the morning. 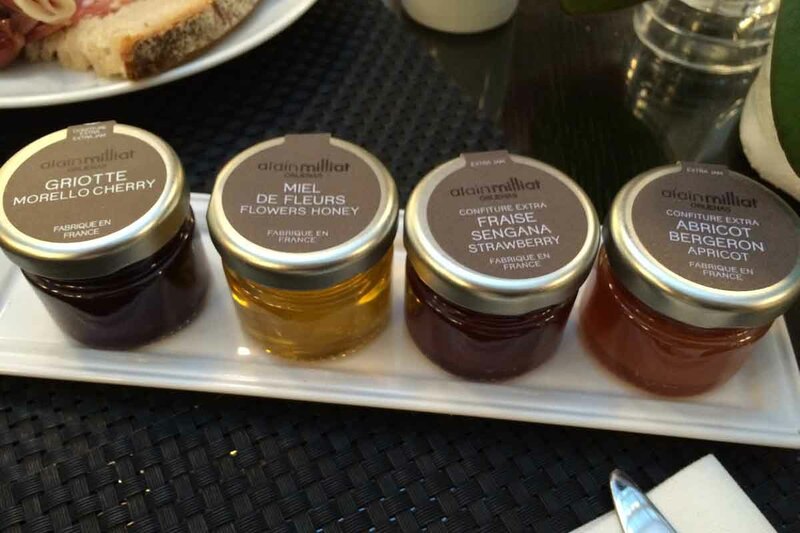 Day two began with a lovely continental breakfast at our hotel. 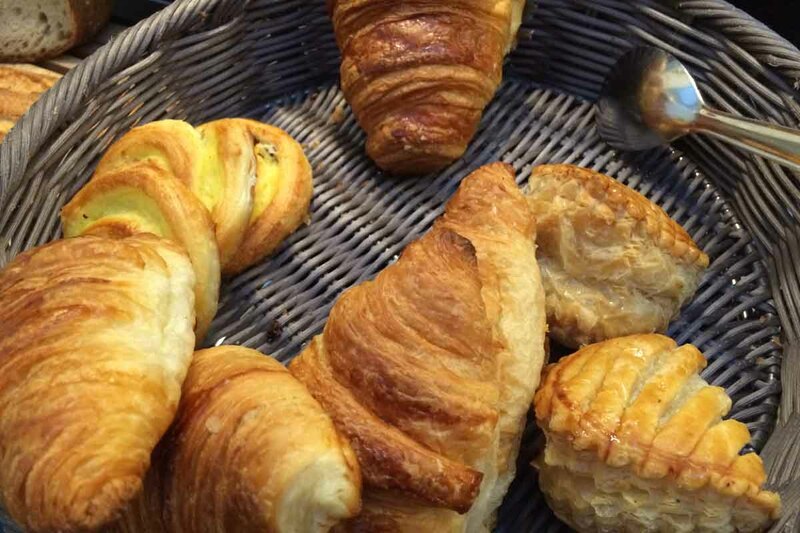 There’s just something very Parisian and French about starting the day with freshly baked bread and dipping oils. 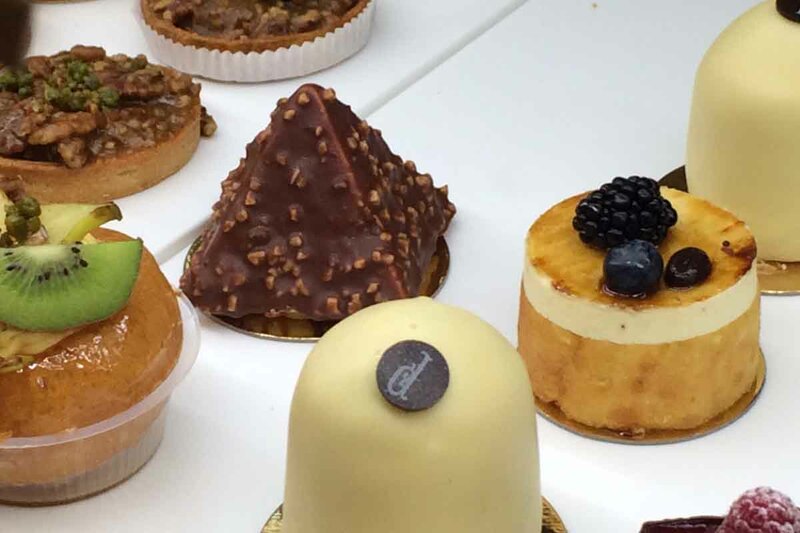 We finished with some sweet pastries before making our way back to the Champs Elysées to get tickets for the city bus tour. 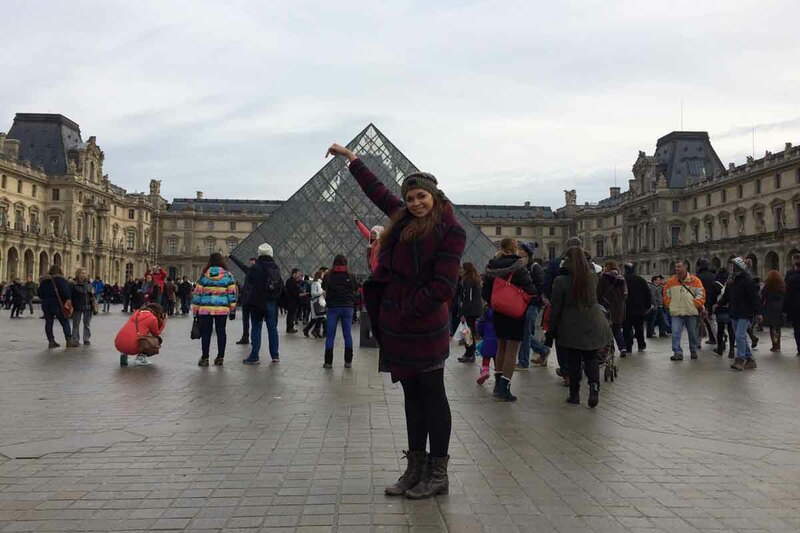 We love exploring cities by bus as you get to see all of the important landmarks in a relatively short period of time, so with our bus ticket in hand and headphones in pocket we hopped on the bus, eagerly awaiting what Paris had to throw at us. Paris is usually cold during the winter months but we were pretty blessed with the weather as it was fairly mild for the time of year (that wasn’t to last though). We were planning to visit Disneyland on our 3rd day in Paris so this meant we would have to cram a lot in to this bus tour. First stop, Eiffel Tower. We got on to the city bus at the Arc de Triomphe and enjoyed the open air drive the Champs Elysées going past some stunning Paris landmarks like the stunning Grand Palais. As you would expect, the streets of Paris were so busy at this time of the year, and the shops bustling with many tourists like ourselves. Our first stop was Trocadéro and Palais de Chaillot; this is the stop for the Eiffel Tower. We strolled around the Eiffel Tower and stopped to get a self-portrait taken in front of this most famous of world landmarks – let’s just say we wouldn’t recommend it as the end result looked no more like us than the man on the moon! We hopped back on the bus at the gardens near the Eiffel Tower and set off on the pretty long journey across the city to the next stop. Again, this took us past some of Paris’s most famous landmarks including the Place de la Concorde and the Luxor Obelisk. 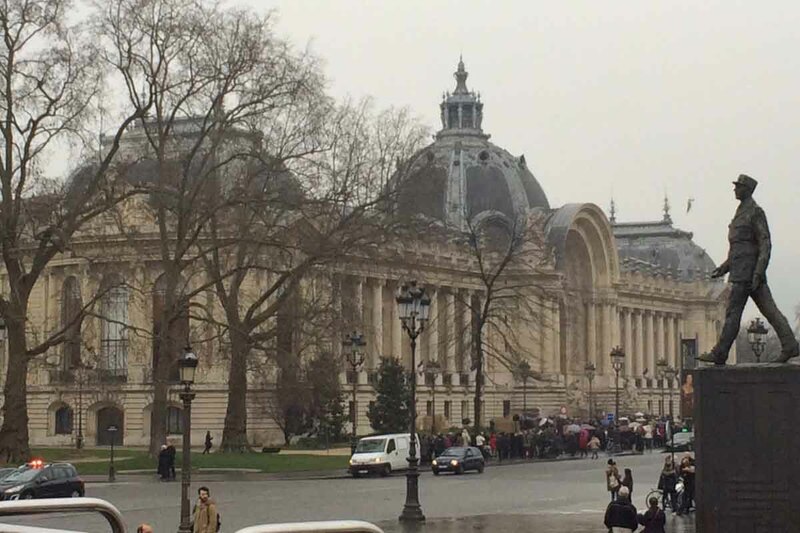 Next up was La Louvre as we spent time walking round the stunning gardens and the nearby streets. The queue to get into La Louvre was crazy and would have taken at least 3 hours to get in. We took a few photos including this poor attempt of Helen touching the tip of the pyramid before heading of on foot to the world famous Notre Dame Cathderal. Again the queues here to get in were crazy so a word of advice if you plan to visit either of these buildings – book online! On route to Notre Dame we crossed one of the cities famous padlock bridges along Pont des Arts and left our own little mark on the city. A lot of the bridge was boarded up but we found a nice spot to leave our padlock, signed and all. It only felt right seeing as how we were on honeymoon. With a quick throw of our keys into the river, we continued our stroll along the street to grab some lunch. 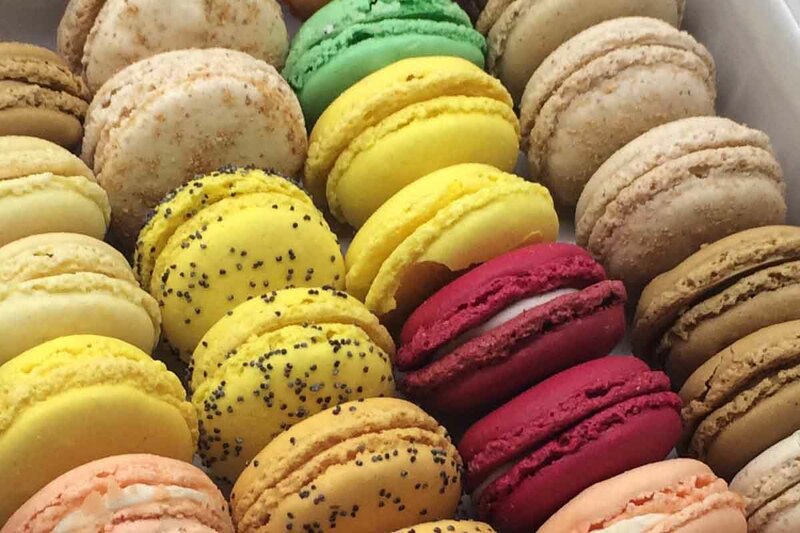 Paris has lots of cafes, bars and restaurants so you’ll never have to look too far when it comes to grabbing a bite to eat. 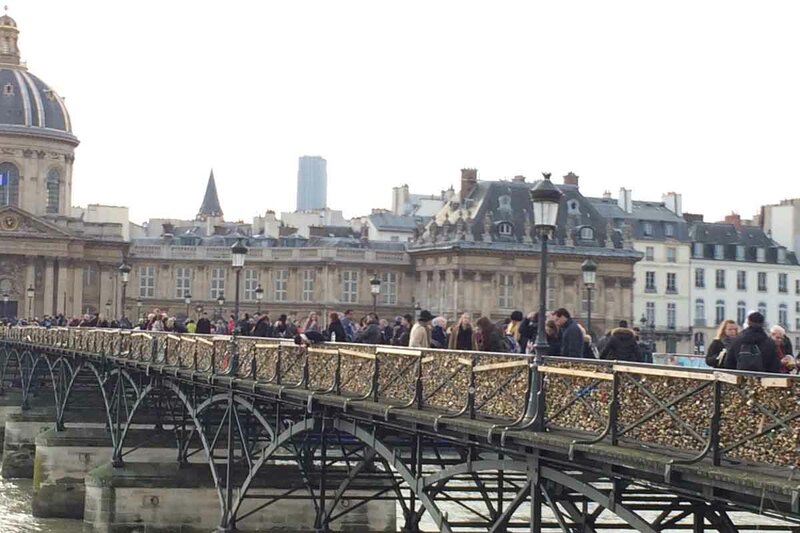 Update – the padlocks from all these bridges have now been removed by city officials due to the demands of local Parisians. We hopped back on the bus at Notre Dame and headed back to base at Champs Elysées. With so man shops to chose from we took our time strolling from store to store. It was mainly window shopping as so many of the shops were simply beyond our budget – it does no harm to look though. There was also a local market still in place from Christmas so we took our time exploring the stalls to look at some of the local arts, crafts and fashion pieces on display. 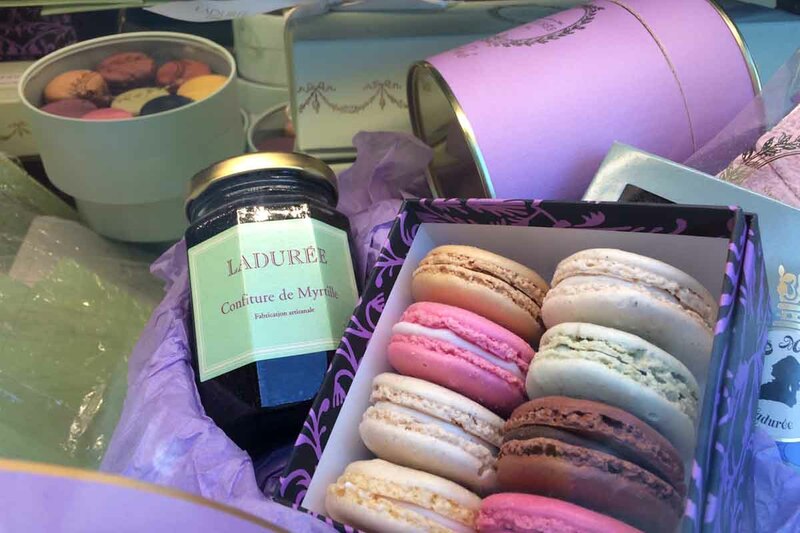 We finished up our day by visiting popular pastry shop Ladurée on the Champs Elysées and picking up some wonderful macaroons. We grabbed a drink back at the bar in Hotel le A before calling it a night. Next up was a day exploring Euro Disney as we got to bring out our inner child in what was a truly magical experience – but you’ll have to read about that in our next blog. Two days in to the start of our honeymoon and Paris had certainly made an impression with us. It’s much more than the city of love and the perfect place to start our honeymoon and our new journey as husband and wife. 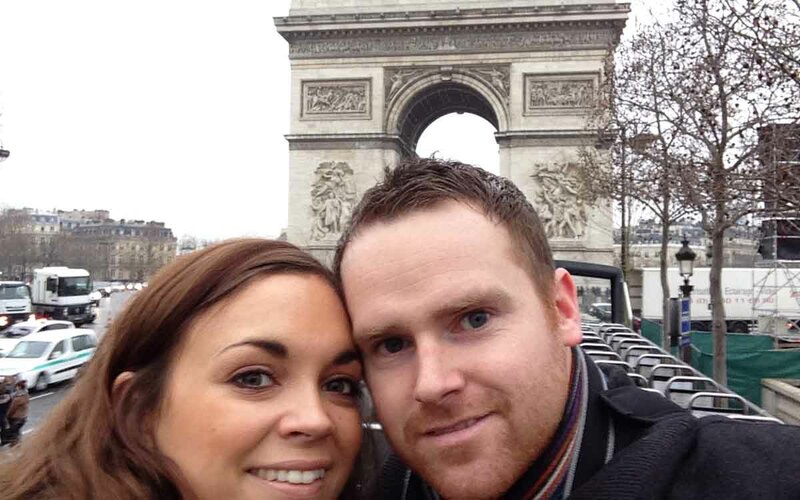 Nial had visited Paris before but it certainly seems to be a city that is best exploring with the one you love. Our short trip to Paris was almost over but we were already getting ready to make plans for our next trip. 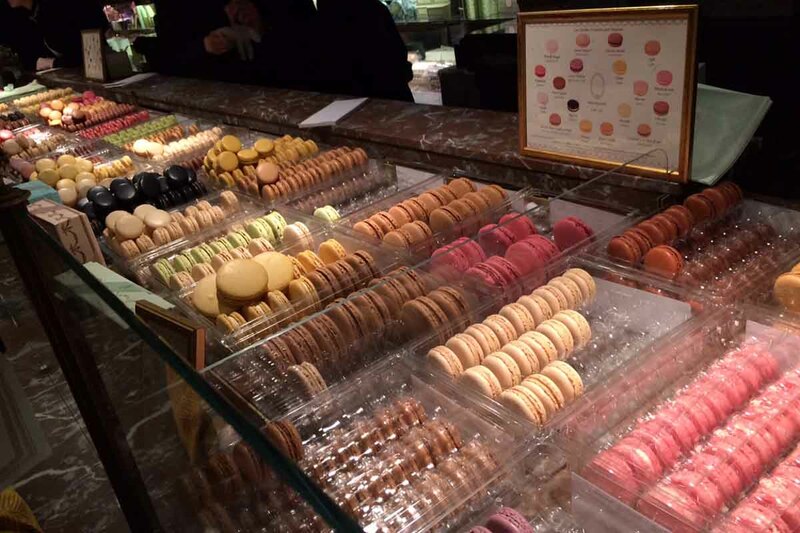 Have you ever visited Paris? What was your favourite part of the city? Where would you recommend we visit on our next trip? Let us know by commenting below or connecting with us on Facebook and Twitter.